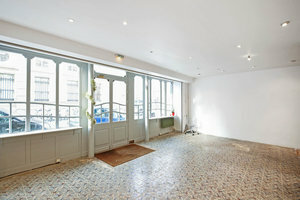 This beautiful 150 sq m boutique is just steps from the busy and popular area of Rue de Rivoli and is perfect for Pop-Up Stores, Showrooms and creative Retail Events. 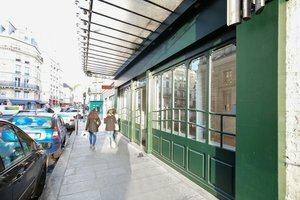 The space has a fantastic large frontage finished in an elegant emerald green. Large window displays offer good visibility and also fill the space with natural light which creates a wonderful bright atmosphere. 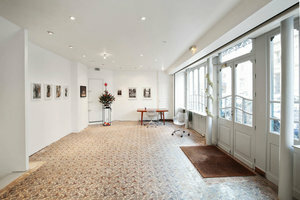 The space is open plan and the interiors are classic with an original tiled floor, white walls and a classic feel. The space is divided over 7 rooms with the main area of 61 sq m at street level. 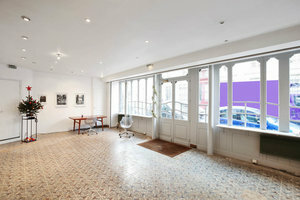 This space benefits from good foot traffic from one of the busiest shopping streets in the area and is a perfect location for brands to create a unique pop-up retail experience.